PSP Descaler and PSP Plus +compounds are of Institutional and Industrial strength which when used as directed and combined / mixed together onsite just before use based on the directed (1:9) ratios, creates a powerful disinfectant and descaler that is also bio-degradable. 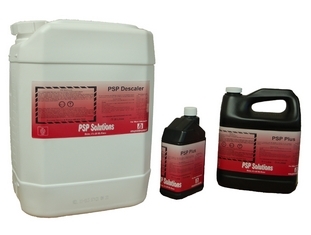 PSP Descaler and PSP Plus +removes iron bacteria and dissolves iron bacterial iron biofilm deposits. PSP Descaler and PSP Plus +dissolves iron and other mineral scale build-up, even that from calcium and magnesium minerals; PSP Descaler and PSP Plus+ contains a chelating or sequestering agent that keeps iron and other minerals in solution, preventing them from combining chemically with other minerals and dropping out of solution. PSP Descaler and PSP Plus + removes mineral deposits such as carbonates and hydroxides common in bores, pumps and irrigation systems. These deposits can reduce the efficiency of water flow, costing time and money due to extended running times and premature failure of pumps.removes mineral deposits such as carbonates and hydroxides common in bores, pumps and irrigation systems. These deposits can reduce the efficiency of water flow, costing time and money due to extended running times and premature failure of pumps. PSP Descaler and PSP Plus + disinfectant compounds are available for purchase, resale or distribution by contacting our in house Technical Sales representatives for sales and technical support information. 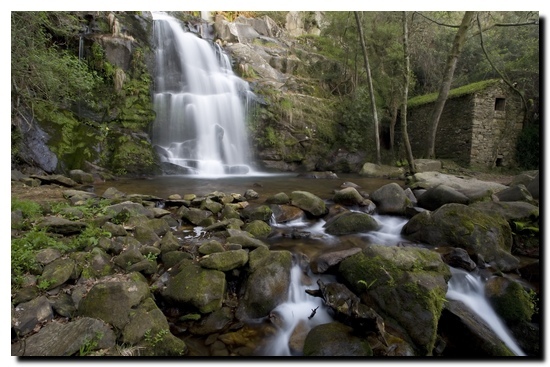 The frequency of follow up cleans will be determined by the natural conditions already present in the well and the aquifer. It is not possible to totally eliminate the iron related bacteria contamination from the far reaches of the underground aquifer. BoreSaver will however provide effective control and cleaning for extended periods of time. Examination of the historical site records as well as studying the records for the system will establish this optimum re-treatment baseline.